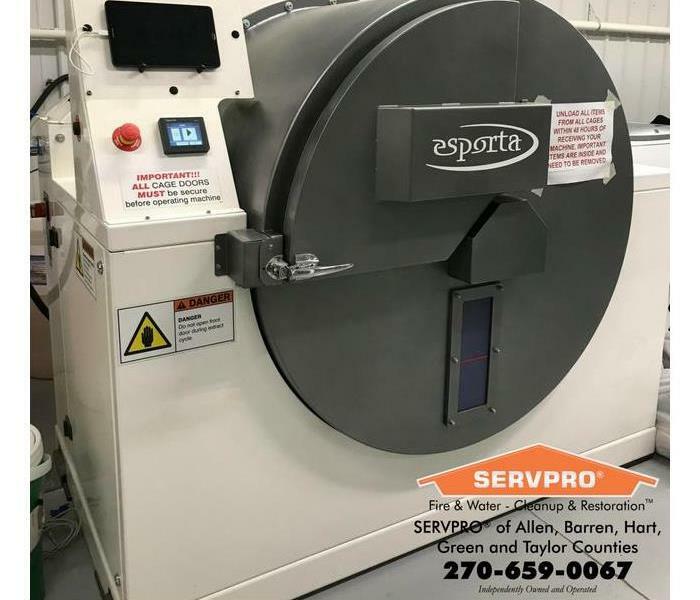 As a trusted leader in the restoration industry, SERVPRO of Butler, Hopkins, Ohio, Muhlenberg & Edmonson Counties is able to respond to any size disaster, large or small, quickly and efficiently. We have highly trained technicians that are dedicated to responding faster to any size disaster, while putting the customers needs first in every aspect. With us being able to provide 24-hour emergency service calls, we have the ability to be onsite working in a matter of hours. When we receive a job, you will get a call to schedule a walk through within an hour, any time of day. Within four hours of that initial call, we will be onsite ready to work. Within eight hours, we will have an estimate and scope of work for your job. Quickly taking control of the situation is a way we try to speed up the restoration process for all of our clients. SERVPRO of Butler, Hopkins, Ohio, Muhlenberg & Edmonson Counties is locally owned and operated, so we’re already close by and ready to respond immediately when you need us. We’re also part of a national network of over 1,700 Franchises, which gives us access to more resources for larger cleaning or restoration projects or major storm scenarios.